Measurements: 22 cm by 30 cm (8.66 in by 11.81 in). Texts in rhyme in English and Spanish. The book is designed in hardcover. Headed by Chairman Andrew Kluger, an American Non-Profit founded in 1963 that among other things promotes books as educational and cultural objects. Mexico City – based editorial headed by Mexican graphic designer Tania Pineda, it specializes in high-end book editions and productions. Mexican writer; this is her fourth published title and her second bilingual story. Graphic designer and illustrator; this is her second hardcover illustrated book. Child-oriented details appeal to the curiosity of the young audience. Sasha’s illustrations depict real costumes used in some of her performances. Off-pink palette offers a fresher look on the traditional “ballet colors”. 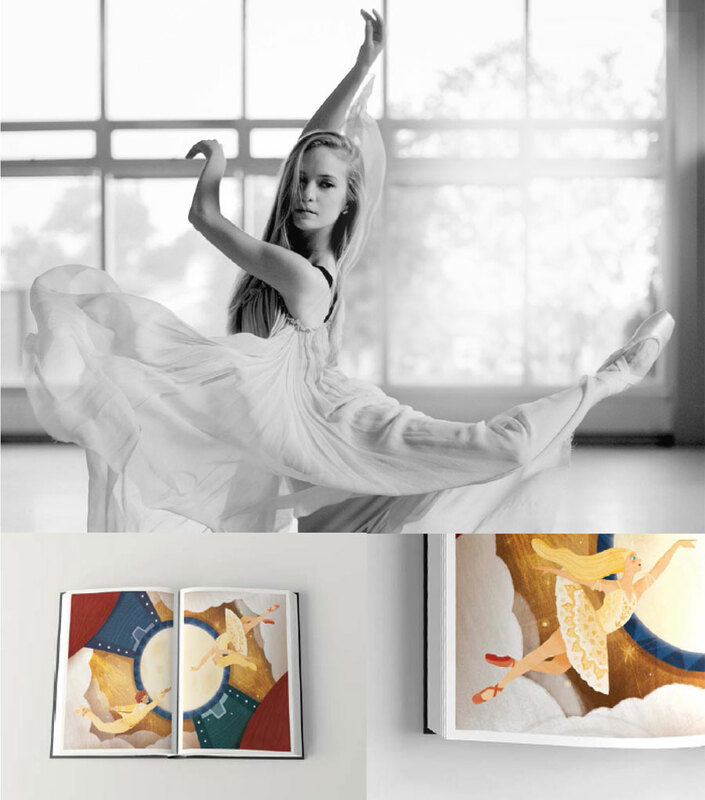 Bookbank USA, Ediciones Patoganso and Prima Ballerina from SF Ballet Sasha De Sola presents their new illustrated bilingual book: On tiptoes • De puntitas which features two stories, one based on Sasha’s ballet career up to date and another one of a boy that gets inspired by her to be a dancer himself. Both stories offer a moral that can be applied to life beyond ballet: resilience, overcoming life obstacles and following your heart and your passion regardless of hardship. printed on special paper and autographed picture of Sasha de Sola.